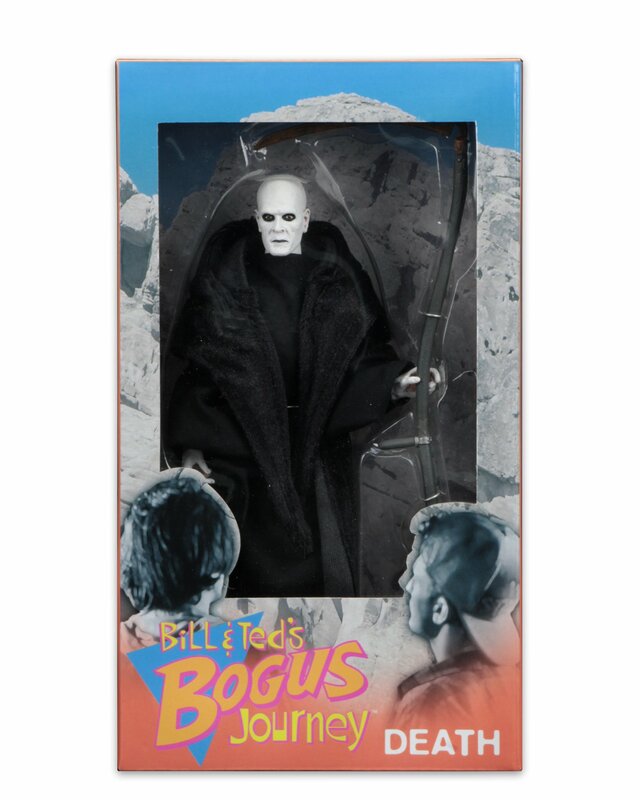 The latest NECA San Diego Comic-Con 2017 Exclusive is a tie-in figure for the previously released Bill and Ted figures. 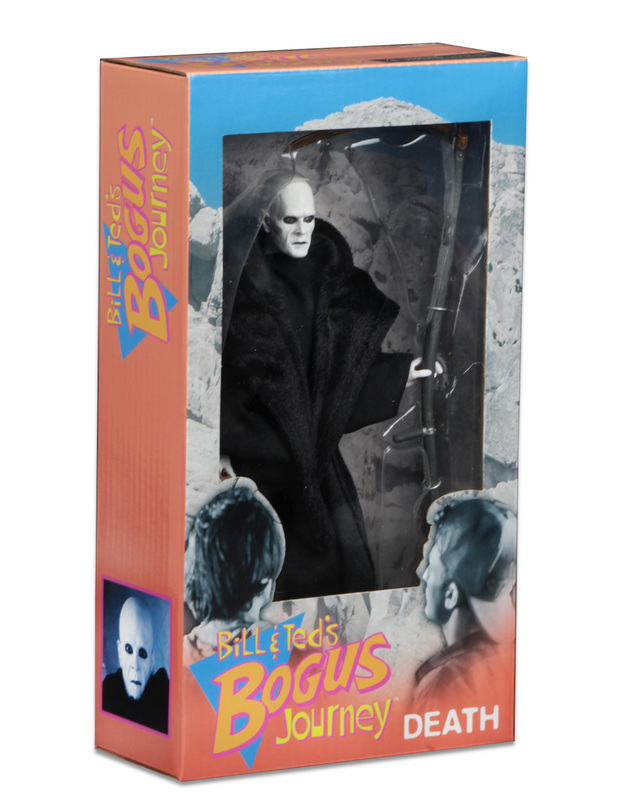 Death, from Bill and Ted’s Bogus Journey, gets the retro Mego style treatment. 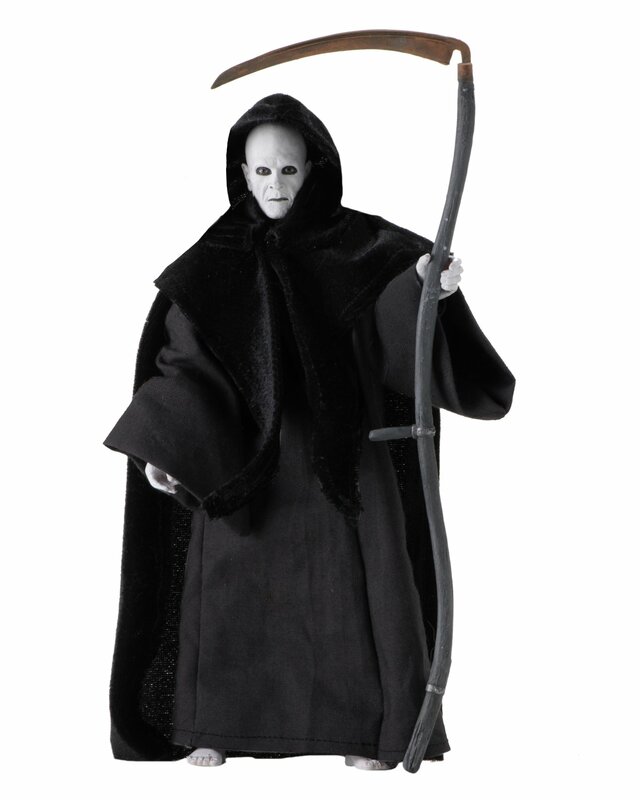 Death includes a cloth robe and a scythe. 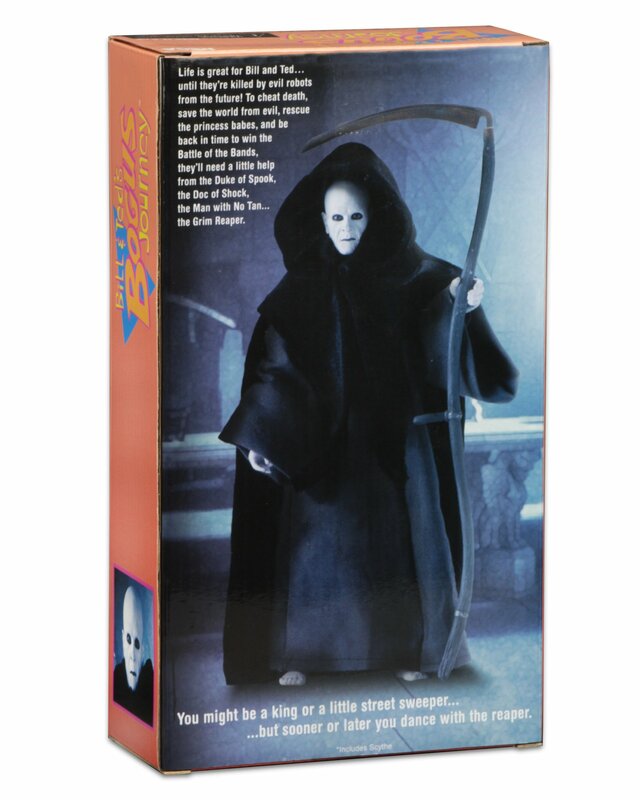 The figure should be available directly from NECA for those who are not attending the con this Summer. Details on pre-ordering NECA’s SDCC 2017 Exclusives can be found Here. 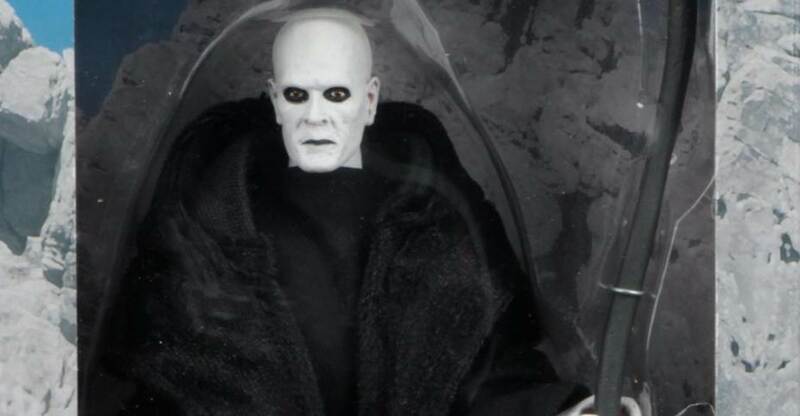 NECA has released full details on the figure (and one more photo). We’ll update with more details when they become available. Read on for all of the photos. Man, the head sculpt is incredible! Top of the head is a bit too tall, but I'll be damned if that doesn't look like Bill Sadler. I don't have the other figures, but this one looks pretty good and am thinking about it. With a little retooling on that head (to add hair), we could easily have a Brayker from Tales from the Crypts Demon Knight. got dang it, that's rad.